What is a Usufruct in Louisiana? Our law firm receives calls and emails relating to this question quite frequently. Usually, we end up discussing the age old question of what happens to the marital home when you die without a will in Louisiana. It's an important question and one that needs to be hashed out ahead of time. This article will attempt to disseminate the Louisiana concepts of property ownership and usufruct and help you better understand the basics so that you can plan accordingly. Each situation can be different and expose a number of various underlying issues. As such, it’s strongly recommended to contact a knowledgeable Louisiana succession lawyer at the Andries Law Firm to discuss your individual needs. If you die without a valid Last Will and Testament in Louisiana, you are said to have died intestate. Louisiana law dictates how and to whom your property is distributed in that event. To properly determine in what manner your estate will be dispersed if you die without a will in Louisiana, you must be able to determine which property is community property and which property is separate property. We will save the discussion for Louisiana community property vs. separate property for a different article. For this question we will assume that the home is community property and the couple had children from a previous marriage. This is normally the type of situation we’re asked to explain. To put it in simple terms; if you die without a valid will in Louisiana, your spouse already owns his/her ½ of the community home outright. He/she will then be granted a surviving spouse usufruct over your ½ of the community home, with your children being naked owners. This usufruct that Louisiana Succession Law provides for a surviving spouse is not automatically given for life, but instead, terminates when the surviving spouse dies or remarries, whichever occurs first. The basic definition of usufruct is an ownership right that one person has over another person’s property. Usufruct equals “use” of property. We’ll get more into the intricacies of it in just a moment. Parents of minor children- When minor children in Louisiana inherit property, their parents are granted a usufruct over the property. What is the most common type of usufruct in Louisiana? You guessed it: Usufruct of Surviving Spouse. The State of Louisiana created a body of law to protect surviving spouses from being booted from the marital home when a Last Will and Testament has not been executed and the deceased dies intestate. It serves the purpose of allowing a surviving spouse the ability to continue living in the marital home, even though they only own their ½ of the community property. But, Louisiana usufruct law has glaring issues that may need to be taken care of before you die. For example, the surviving spouse’s usufruct terminates when the surviving spouse dies or remarries, whichever occurs first. So, if you die first and your spouse remarries, then her/his surviving spouse usufruct terminates and they can no longer use your half of the community home. It will go to your children and he/she may be forced to move or purchase their share of the property. The NUMBER 1 issue we see with this is stepchildren. As we all know too well, no matter how much you love your spouse, there’s a good chance your children may not. In fact, they may despise them to the point they can’t wait for you to kick the bucket so they can show them the door. If you want your children to still be able to inherit your ½ of the community home, but only when your surviving spouse dies, you can grant him/her a lifetime usufruct over your portion of the community home by way of Last Will and Testament in Louisiana. This removes the Louisiana usufruct termination clause that comes into play when your spouse remarries. I know, this is tricky for some people. Some don’t want their spouse remarrying after they die and bringing the new person into the family home, but if you truly love your spouse, I would think you’d want them to eventually move on and benefit from their relationship with you. But hey, not everyone agrees. There’s nothing wrong with leaving your children an inheritance, but there are better ways to accomplish that than forcing your surviving spouse to own a home with YOUR children. One option could be to get a life insurance policy, but that’s another conversation. When discussing estate planning and what happens with your property you leave behind, it’s important to discuss various concepts of property ownership in Louisiana. Let’s start with an easy concept. Ownership is the right that gives a person the direct, immediate and exclusive authority over a thing. The owner may use, enjoy and dispose of it such as a sale, donation or even destruction. Basically, you own the property outright. You determine what happens with it without any barriers to your ownership. No one can use it, unless you give them permission. You can sell it, give it away, neglect it and more. It’s all yours to do with as you wish. Louisiana law defines naked ownership as the ownership of a thing burdened with a usufruct. Basically, naked owners own the property that is subject to the usufruct. For example, Ron Swanson owns a parcel of land with a cabin situated right in the middle. He purchased it with his current wife, Tammy. The Last Will and Testament that he scribbled onto a napkin in his wallet has been found to be invalid. Thus, he has died intestate according to Louisiana Succession Law. The property with the cabin will be split into two halves; Tammy owns her ½ outright and Ron’s ½ of the community property goes to his children. (Remember, she owns her ½ outright because they purchased it during the marriage). Ron’s children own his ½ of the community property as naked owners, but Tammy has usufruct, or “use,” of the property. She cannot sell the home without the children’s permission. Further, the naked owners can sell or mortgage their rights in the house. While this has no effect on the usufructuary and she can still use Ron’s ½ until the usufruct terminates, she risks owning the property with a completely different person if they sell or with a mortgage on the other half. Remember, she can only live in it until her usufruct terminates which is either when she remarries or dies. Tammy remarries a few years later and now her usufruct (“use”) of Ron’s ½ of the property has terminated. It doesn’t matter that Ron wanted Tammy to live on the property forever, he didn’t have a valid Louisiana will that stated this and his children can now force her to sell the property. While you have the right to leave your property to whomever you desire, that right is subject to the right of Forced Heirs in Louisiana. While many don’t agree with the concept of forced heirship, it’s something that must be considered when structuring an estate plan in Louisinaa. We’ll discuss this concept in more detail in a later article, but here is a basic rundown of what it means. Louisiana has instituted a set of laws that protects a class of individuals and allows them to inherit even if it is against your wishes. Forced heirs are children of the deceased who are under the age of 24 or children of any age who are mentally or physically incapable of taking care of themselves. Forced heirs in Louisiana are entitled to a percentage of your property even if you “willed” it to someone else. Just to repeat, you can execute a valid Last Will and Testament in Louisiana, leaving someone out of the will that fits into the category of forced heirs and they can still inherit a certain portion of your estate. If you think this sounds unfair, you’re not the only one. For example, you have an adult child that is 22 years old and want to cut them from your estate completely. You can’t, they will get a portion unless you formally disinherit them and it’s not as easy as it sounds. The Louisiana Code of Civil Procedure outlines specific instances where this is possible. If you have any questions regarding ways in which to disinherit a forced heir in Louisiana, contact an experienced Louisiana succession lawyer at the Andries Law Firm and we’ll guide you through the process. Remember back when we discussed executing a Lifetime Usufruct to allow a surviving spouse the ability to use the property for life? This is a great instance to do it. By granting a lifetime usufruct to the surviving spouse, whoever lives the longest will be able to use even the forced heir’s portion for the remainder of their life. Usufruct and forced heirship are difficult concepts to grasp in Louisiana law. This article was written with the intention to give a basic understanding of the law, but is not meant to replace speaking with an attorney that has experience with these matters. 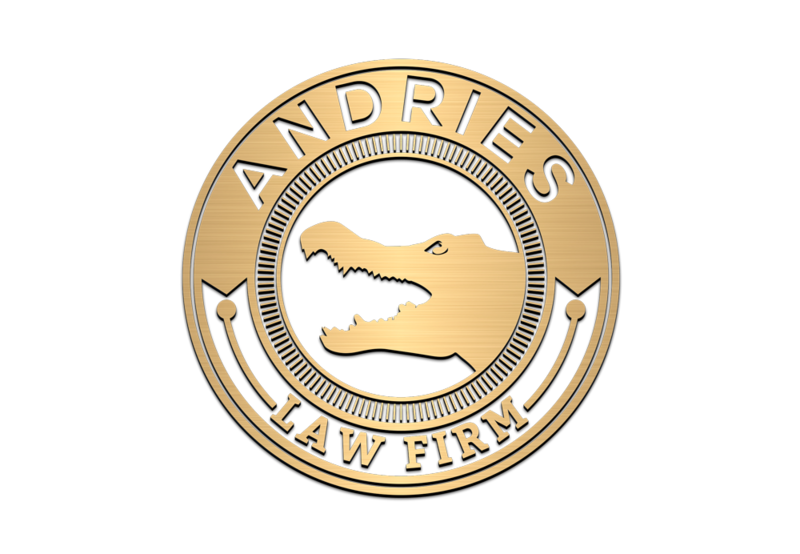 Call or email us to set an appointment to speak with a Louisiana Succession Attorney at the Andries Law Firm. Contact Louisiana attorney R. Jerome Andries at 318-229-1608 if you have questions about wills, successions, community property, usufruct, disinheriting an heir, or anything regarding Louisiana Succession Law. You can also email him at Jerome@AndriesLawFirm.com. "We help clients with succession matters all over the State of Louisiana."